Giveaway With Diane James Home! Have you gotten into the Holiday Spirit yet? The lovely ladies over at Diane James Home have! Today’s giveaway is very exciting! Trust me, you will not want to miss this. You could win this gorgeous silk orchid in this amazing gold hobnail container, which retails for $395.00, if you head over to the Diane James Home website, and check out the winter line. Come back and leave me a comment letting me know what your favorite item is! But wait…there’s more! Diane James Home is launching a new product; it’s this fabulous candle. I’m burning my candle while I type and it’s heavenly…it smells like I just stepped into a posh florist’s cooler! And look at that packaging…the amazing illustration was done by none other than the uber talented Patricia van Essche, or PVE as she is affectionately known. 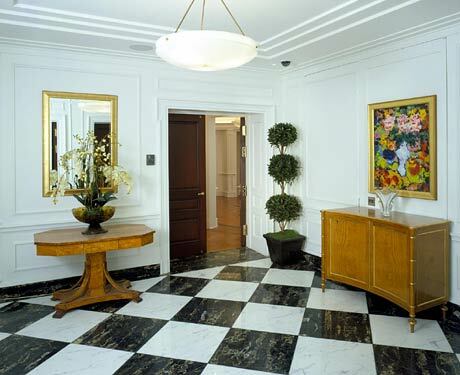 A high end home goods company that retails in Bergdorf Goodman and Neiman Marcus, and blogs…what’s better than that?! Well, winning one of these candles, which retails for $55.00, would be, right? For a chance to win a Diane James Home candle, head over to the Diane James Home blog, “The Buzz” today…Monday, November 15th, and leave a comment on their blog! Flowers and plants that never wilt! Let’s review…comment over here between now and midnight, Sunday, November 21, 2010 with your favorite Diane James Home item, and be entered for a chance to win the gorgeous silk orchid above. If your new to this wonderful line of products, trust me…they will change your mind about faux flowers! Never kill a house plant again! This giveaway is open to everyone world wide! Now go! Wow, what a gorgeous giveaway! I love their orchids–so beautiful and impossible for me to kill!! THANKS!! Love all the chances to win. Wowie! I love the "magnificent magnolia" – I of course love all the Diane James Home designs! Those ladies are just as elegant and gracious as each bouquet! Thanks so much~ for a wonderful give-away! My favorite is the Chic and Sleek Bouquet. Great giveaway- I like the orange crush flower combination! So vibrant! Thanks for hosting the giveaway. The orchids are beautiful. I love her "Green and White Delight" so fresh and clean! Winter white bouquet has a great casual look to it with the white bark vase. elegant and yet casual at the same time! Love the magnificent magnolia. Soooo pretty. Love your site! I LOVE everything Diane James! Great giveaway, Sue. Love her site. Such beautiful arrangements. Amazing. Sadly no green thumb I have killed so many orchids. I would love this. I love the purple moth orchid. I love their hydrangeas! 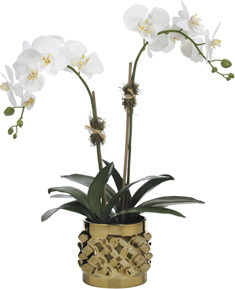 Of course, the orchid would look great for the holidays! Their "Chic and Sleek Bouquet" is my favorite — Such a unique giveaway; thanks for the chance to win! Not surprised that you two would come up with the best holiday give away ever!! But what a ridiculously difficult choice – but I have to say the orchids speak to me – so my choice is the Magnificent Moth Orchid! Choosing one out of so many beauties is almost impossible, but I guess I'd have to go with the Winterthur Winter Bouquet. what a generous and beautiful giveaway. you are most gracious. i do love your Winter White Bouquet from the winter collection. however, i would love, love, love, to win that beautiful orchid. I love the Green with Envy bouquet! gorgeous! considering my real one is probably going to die soon, I would be very happy to win this!! I'm a regular reader of the Buzz blog (love!) and I've left a comment. Fantastic Giveaway! Please enter me. 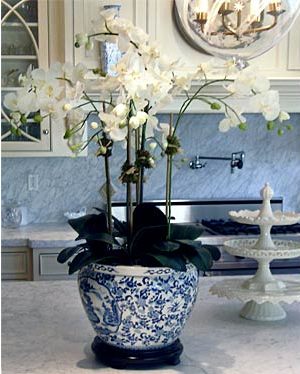 I checked out their website and I love the glamorous amaryllis! Love the candles! And also the hydrangeas flower arrangements! Thank you for this lovely give a way! I like the Peppermint Posy arrangment for the holidays! Ohhhhh…the green, white and black peonies arrangement. Thank you for this wonderful giveaway! The Spring Bouquet with peonies but that orchid might be my fave. I love it! Love those women at Diane James – not to mention those "fool me they are so good" flowers! Southern by heart and birth – it's the magnolia gift that stirs my heart! But, that orchid – WOW!!! I love the Wonderful willow blossoms. What a beautiful simplistic arrangement. I am in love with the pink peopny bouquet! BEAUTIFUL! This is a marvelous giveaway! So generous! wow! I love the Winterthur Winter Bouquet! Thanks for a fantabulous giveaway & chance to win it! I love the Glamorous Amaryllis. It would look fabulous on my kitchen counter. I commented on Diane James' site regarding her beautiful tablescapes, especially, City which features lavender & silver! I couldn't find anything about her new candle line though. I've always suffered severe black thumb syndrome- these bouquets couldn't be more perfect for me. <3 The winter line is all gorgeous, but the classic Chic and Sleek Bouquet is definitely my favorite! I like the Winter White Bouquet! Every time I have used their faux flowers~ they have been beautiful!! I adore the heavenly blue hydrangea arrangement – I adore hydrangeas. This is a fab giveaway! I have to say I love the Peppermint Party Bouquet! What is better to start the holiday season then red and white peppermints!!!!!????? Thinking this orchid would make nice gift for mother-in-law's new home, but she's partial to roses. I really liked the Pop Of Yellow Bouquet. Lovely giveaway. Perfect for the holidays..the Amaryllis and Pine Bouquet is stunning. Thanks for the chance. wow what beautiful bouquets. One of my faves is the Autumn in New York arrangement. So perfect for my living room and so femine! Love the heavenly blue hydrangea–reminds me of my bridal bouquet! i have to say either the blue hydrangeas or any of the phaeleonopsis. i can't keep orchids alive to save my life, but i just love the look of them so much! I'd love the pink and white bouquet! I love the Peppermint Party Bouquet! I had no idea there was a market of "upscale" fabric flowers! But it beats the real thing with my brown thumb, for sure! I'd especially love the Apple Green Cymbidium Blossom- so unusual and lovely! I love the Cecil Center Centerpiece! Thanks for the chance to win something from this beautiful company. Thank you for the chance to enter this exciting giveaway ! thanks / merci / Spasiba / Gracias / Shukriya / Shukran etc. ! The Sand and Sea Bouquet would be a welcome guest at a beach house or summer cottage. So pretty! The orchids are beautiful and I have such a hard time keeping them alive.